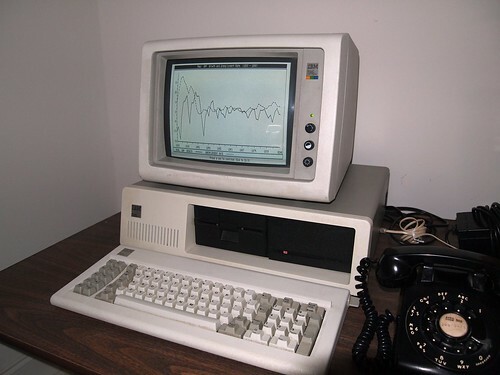 Thirty years ago last week, IBM introduced its first personal computer – the 5150. Its very reliable. The computer never has failed me when I work from home. Maybe because the computer is encased in steel. And a very happy 80th anniversary to the Bakelite telephone! 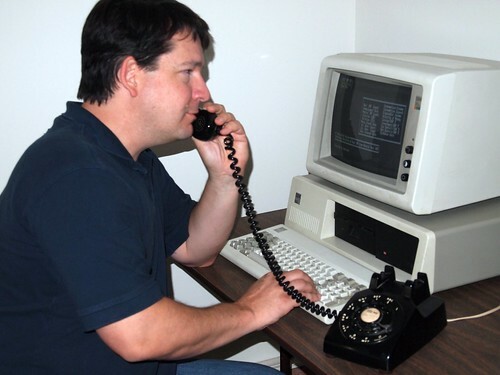 I think this one I have in the pic above is a Model 500 Rotary Bakelite Phone. My productivity does suffer a little when I work from home.